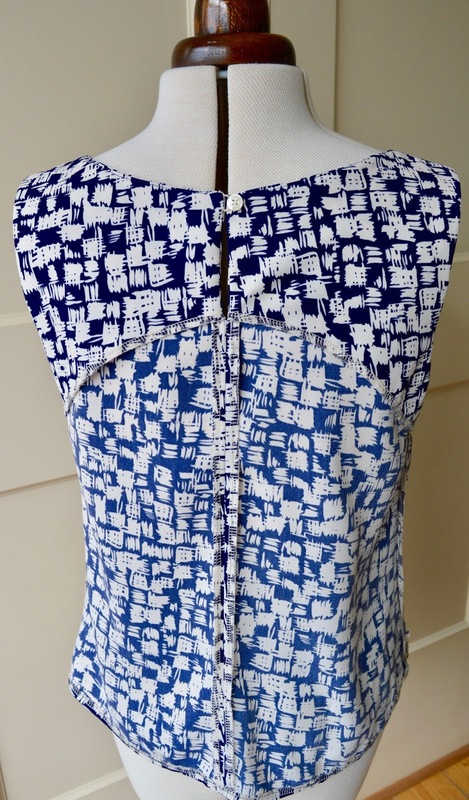 Tank, shell, singlet, cami - there seem to be many different descriptions, but what I'm essentially talking about here is a simple, sleeveless top made from woven fabric. With such a straight forward design it's all about getting an excellent fit - and once you've nailed the fit, this kind of top really will become a wardrobe workhorse. Easier said than done though! I can't tell you how much time I've wasted recently sewing up toile after toile in the hope of finding the perfect pattern. 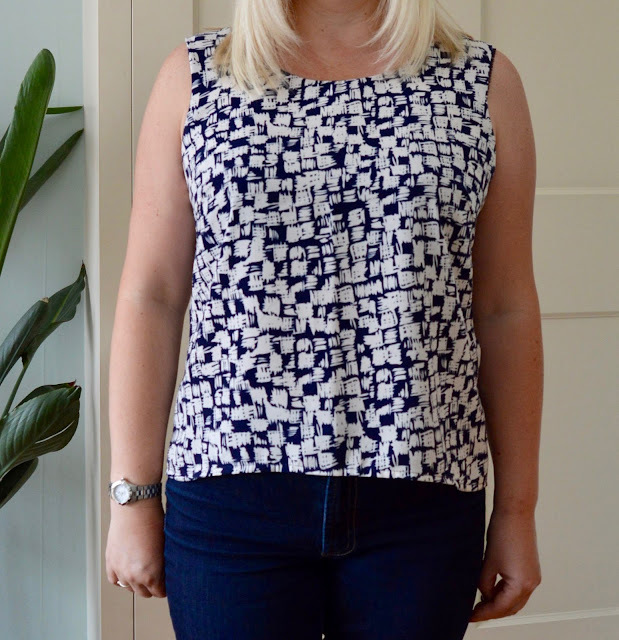 This week I came as close as I was ever going to get, so I'm going to formally adopt the pattern I used as my go-to sleeveless top! 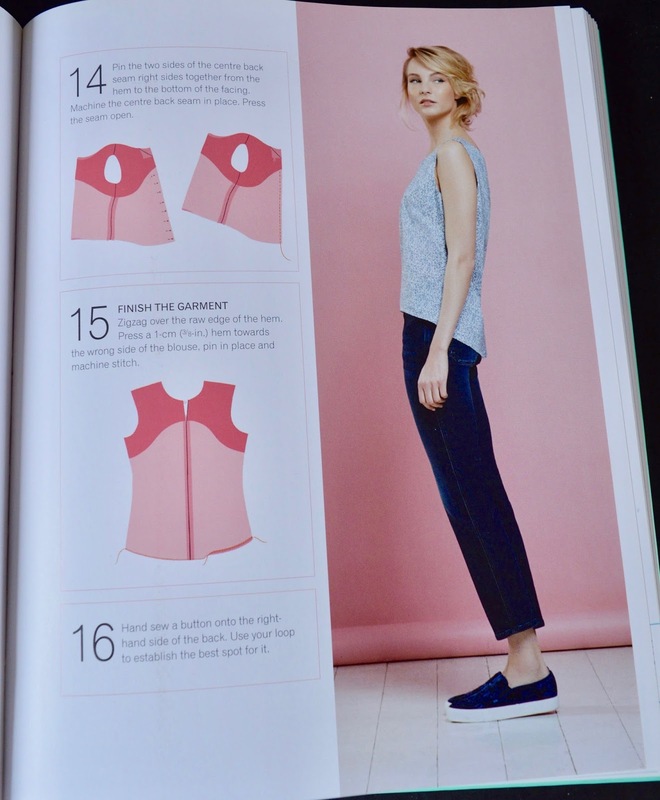 The pattern in question is the Sleeveless Shell Top from the GBSB Fashion with Fabric book (reviewed here). 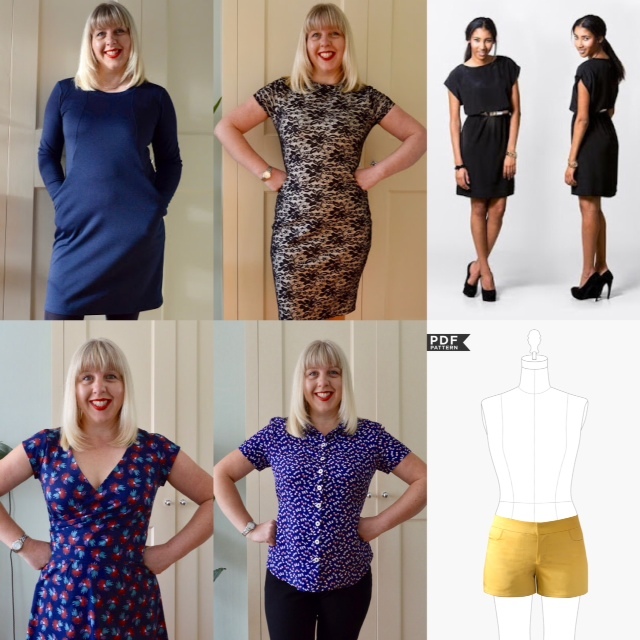 Now I'll freely admit I'm rubbish at utilising patterns from sewing books, and would never have even considered this pattern if I hadn't seen Bea rocking a gorgeous version recently. So thank you Bea! 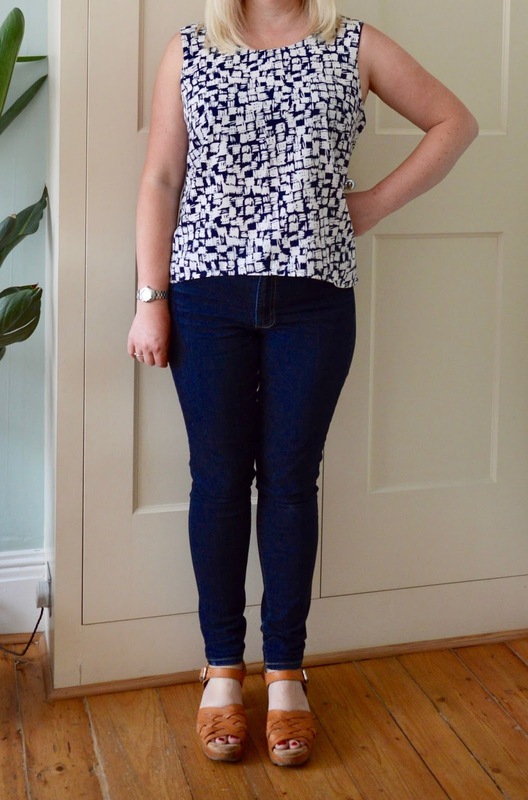 I made a straight size 12 and the fit is just what I wanted - comfortable but still fitted enough to be worn loose. Plus the neckline curve and shoulder width both adhere to my fusspot standards, which is an added bonus! The only adjustment I made was to sew the side and centre back seams at 1cm instead of 1.5cm. I basted the seams together mid-way through sewing and they seemed a bit tight at the bust, hence the adjustment. One additional change I'll make next time will be to even out the curve of the hem. As drafted it has a high-low hem which you can see in the picture below. This gets a bit lost on my version and just looks like it's riding up at the front. Once I've lengthened the front to match the back I'll have my perfect pattern, yay! 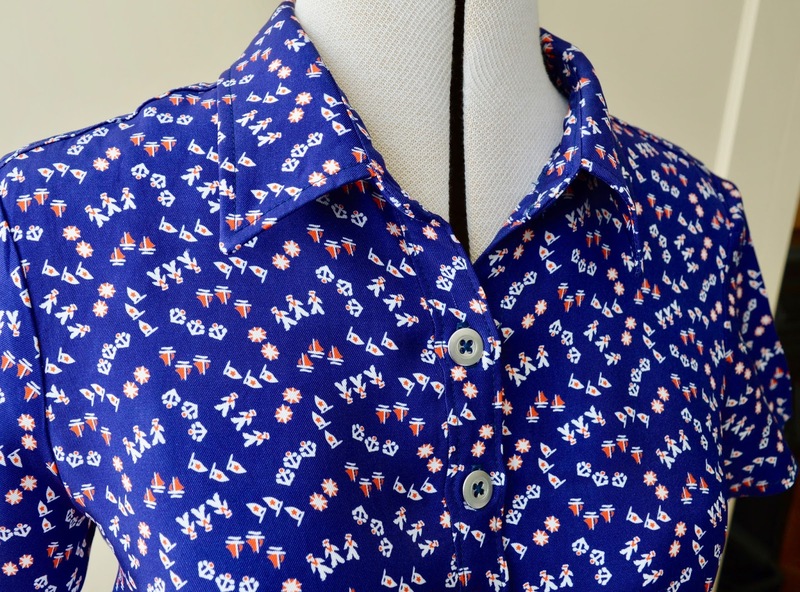 The neckline and armholes are finished with a lovely neat all-in-one facing and a button closure. Now usually I'm completely flummoxed when it comes to turning an all-in-one facing through, but not this time. The method is very clearly explained in the instructions and I'll definitely be using it again, it's so clever! The top actually fits over my head buttoned up, so I'll be cutting the back piece on the fold next time and eliminating the centre back seam to make it an even quicker sew. EDIT: As a wise commenter has just pointed out, if I cut the centre back piece on the fold I won't be able to use the all-in-one facing as it needs a back seam to turn through, duh! Thank you Anne for pointing that out! EDIT AGAIN: It CAN be done without a centre back seam, hoorah! This excellent video shows you how. Thanks Katie! The fabric is a John Kaldor poly viscose from Remnant Kings, bought with a voucher I won during the #VPJuly Instagram challenge last year. It has a very nice drape and because of the high poly content, it barely needs ironing, hoorah! 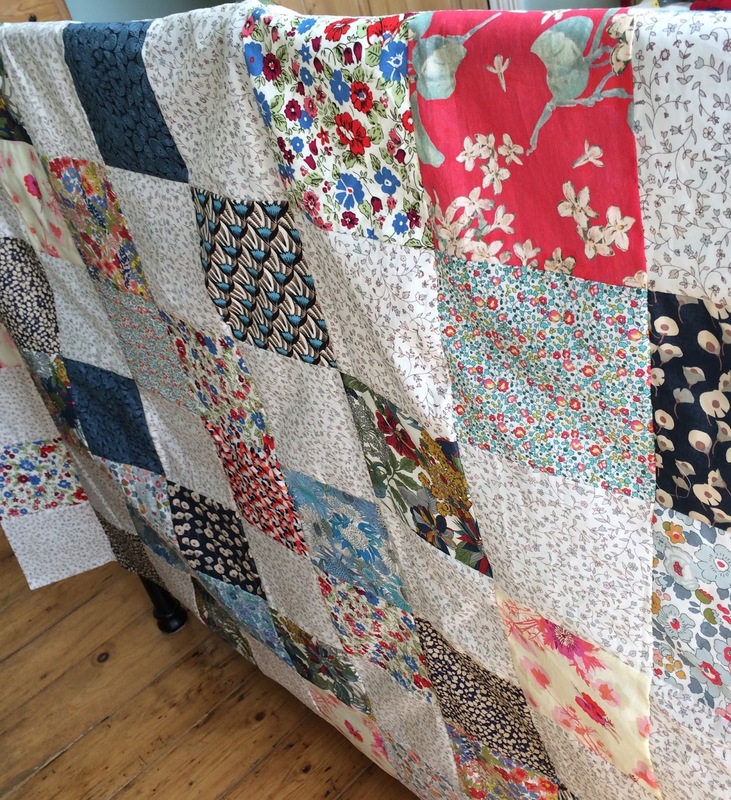 Just a quick post today to announce that I've finally finished the top for my Liberty quilt. My god it was gruelling, it seemed to take forever! The quilt won't actually be needed until the autumn, which gives me time to do a spot of research and brace myself for the next stage. 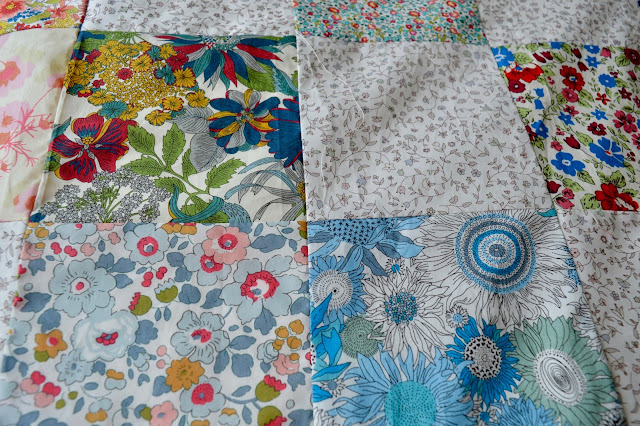 All but one of the fabrics I used in the quilt top are Liberty Tana Lawn, which is noticeably lighter and finer than quilting cotton. My question is, do I need to add an additional layer of light cotton fabric (cotton muslin for instance) to the quilt top to provide extra strength and support? Or will it be OK once everything is quilted together? I've spent so long piecing it all together, I want to make sure the quilt has a good, long life! 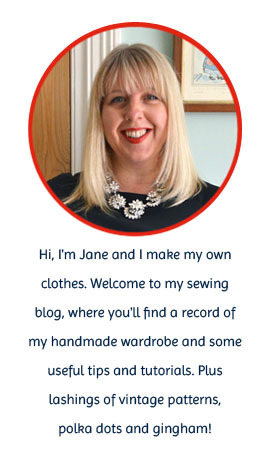 I know there are some experienced quilters who read my blog - I'm just hoping they're reading this post! If any of you have quilted with Liberty lawn (or indeed any thin cotton lawn), I'd appreciate your advice. Thank you! The #2017makenine Instagram initiative (or in my case #2017makesix...) is the only sewing challenge I've signed up for this year, and it seems to have gone to plan so far. Plus a bonus second version here! 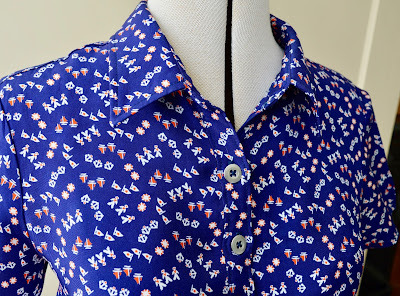 This was a substitution for the Deer & Doe Melilot shirt, using the same fabric I'd already earmarked for the project. Last year, whilst wandering around the posh 'Village' area in Westfields Shopping Centre I came across this dress. I really loved the design - a simple kimono shape with an integrated tie belt - but not the price tag. I can't remember where it was from (either Whistles or Max Mara I think) or the exact price, but it was definitely over £200. I knew I could make my own version. 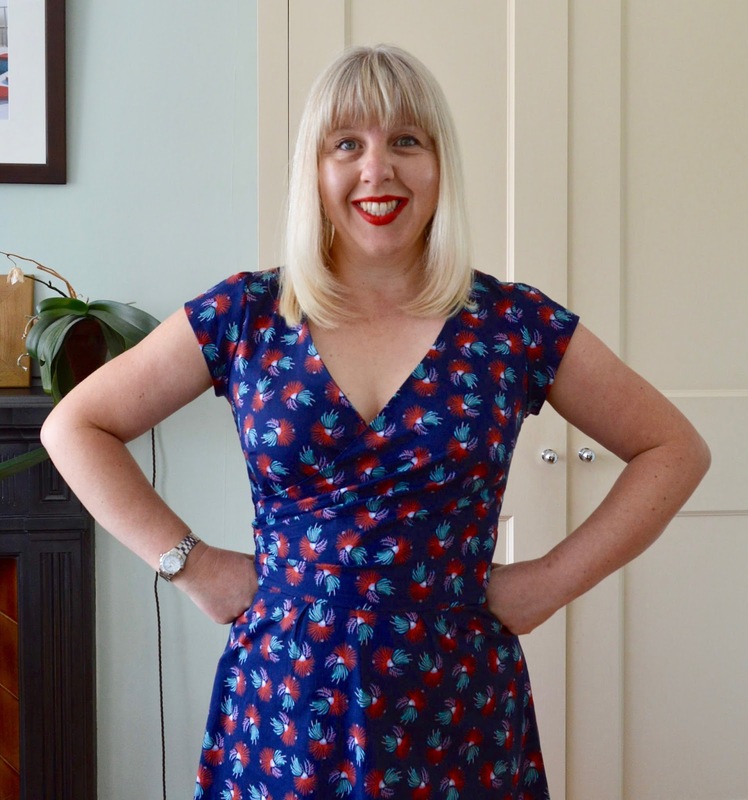 After a bit of online sleuthing, I soon had a copy of the Tie Belt Dress pattern by Sew Different and two metres of red luxury crepe from Sew Over It in my paws. Yay! I have high hopes that I can replicate the 'Village' dress for a fraction of the cost. 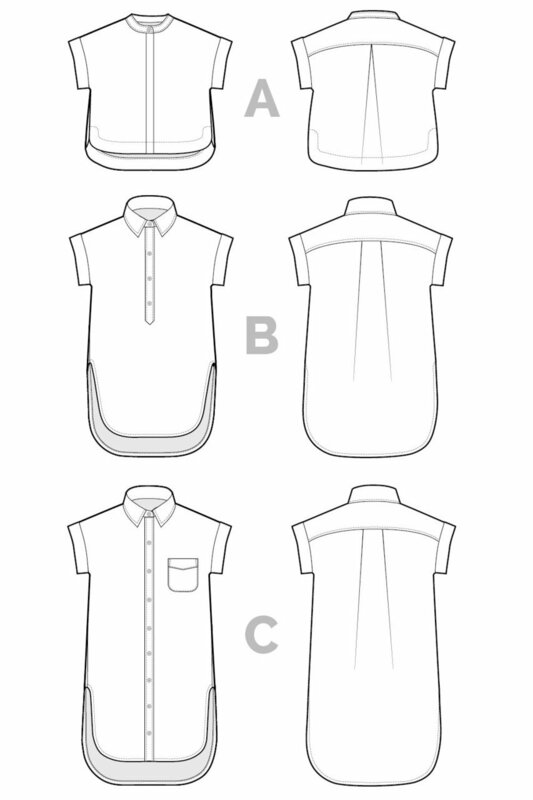 And the final pattern to elbow its way into my sewing queue is the Closet Case Files Kalle shirt and shirtdress. After eyeing up lots of denim shirts on Pinterest recently and then spotting Sallie's gorgeous shirtdress version, I'm now desperate to add one to my summer wardrobe. The looser fit is a departure for me, but I've been finding very fitted shirts heavy going in the warmer weather, so I think it's time for a change. I can't wait to get started! That's it from me, how are you all getting on with your #2017makenine challenges?